Non-objective artist Aimée Farnet Siegel works with color and line through the medium of hand painted and manipulated paper. 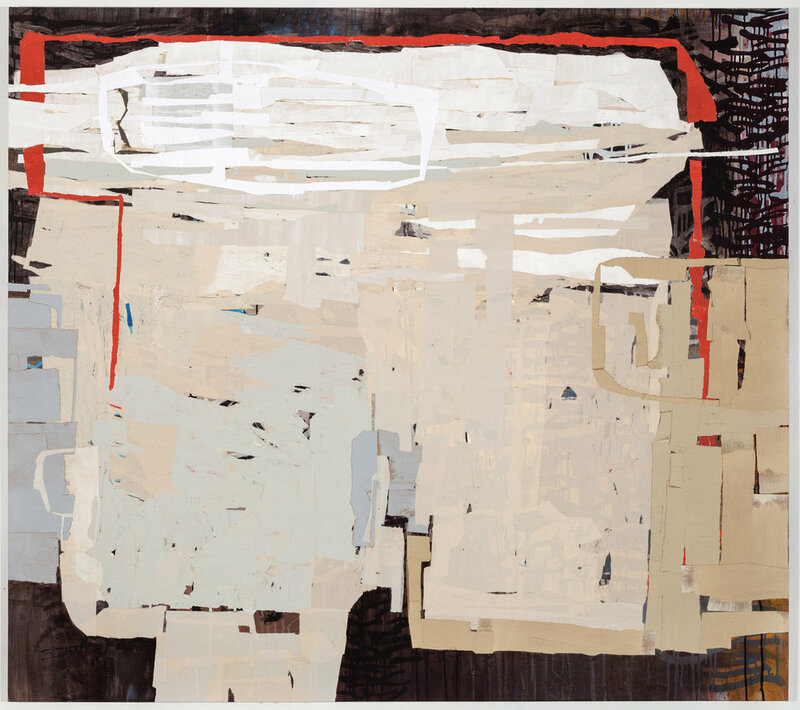 Her works inhabit space outside the two dimensional plain of paint on canvas, have a depth beyond collage and are closer in nature to assemblage. Treating refined pulp much as a ceramicist would clay or a designer would bolts of fabric, Siegel renders, rents, and reassembles the tactile medium in creating two- and three- dimensional works. Working with 16 foot rolls of paper and miscellaneous fragments and glue, the results range from asymmetrical hangings to sculptural freestanding figures. Born in New Orleans in 1963 Siegel received her BFA from Louisiana State University and later studied at the New Orleans Academy Of Fine Arts. She developed a career as a graphic designer and Incorporated as Aimée Farnet Design Group in 1985. Siegel began creating art in 2005. She has shown at the Ogden Museum of Southern Art and the New Orleans Art Center, she has since exhibited in solo shows at Barristers Gallery, New Orleans, and in group exhibitions with Blue Spiral Gallery, Asheville North Carolina, and in New Orleans Second Story Gallery, Dégas Gallery and The New Orleans Academy of Fine Arts. March through May of 2019, she will present an independent site specific installation in conversation with works in the international group show Hinge Picture at the Contemporary Arts Center, New Orleans. Also in 2019, Siegel will have her works exhibited for the first time in a one person show at Jonathan Ferrara Gallery, New Orleans, and at Spalding Nix Fine Art, Atlanta. Siegel teaches at the New Orleans Academy Of Fine Arts and is an independent curator. She has two grown children and works and lives in New Orleans with her husband. At Mooring, mixed media, 49 x 81"
Woke, mixed media, 64 x 64"
Silent Becomes. mixed media, 65 x 58"
I thought I knew then, you think you know now, mixed media, 46 x 84"